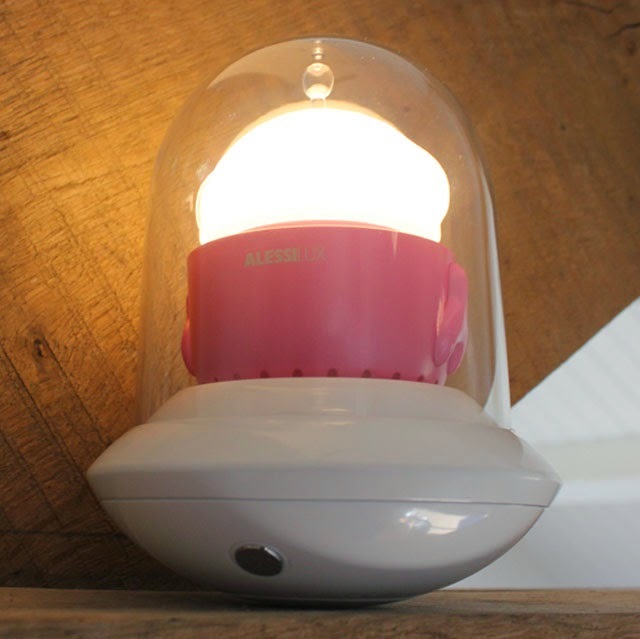 the alessilux ufo nursery baby night lights shines bright in any nursery decor. 5.50" high. alessi ufo light. 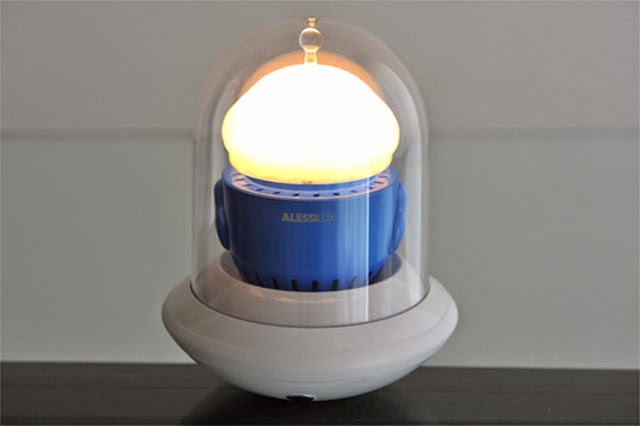 alessi: rechargeable modern ufo nursery night light. 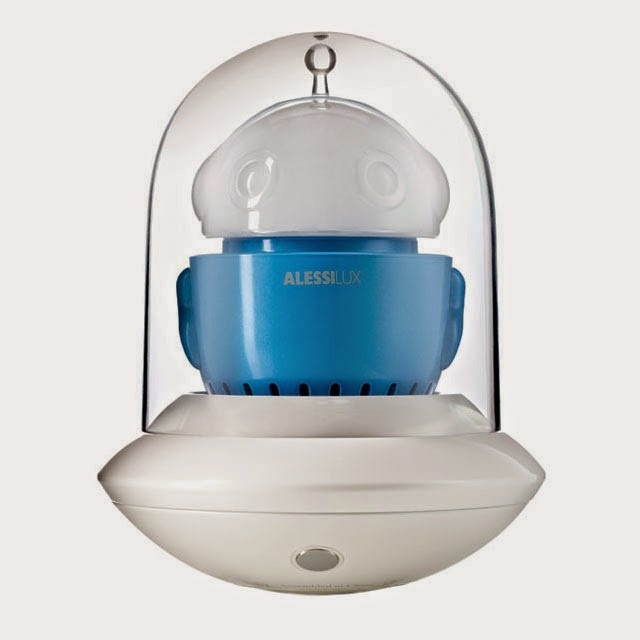 the alessilux ufo nursery baby lamp is one of the most beautiful & practical lights for nurseries ever created. alessi's ufo is a whimsical yet functional little night-light that can be used for late night jaunts to the bathroom and ensures a good night sleep with its gently glowing light. 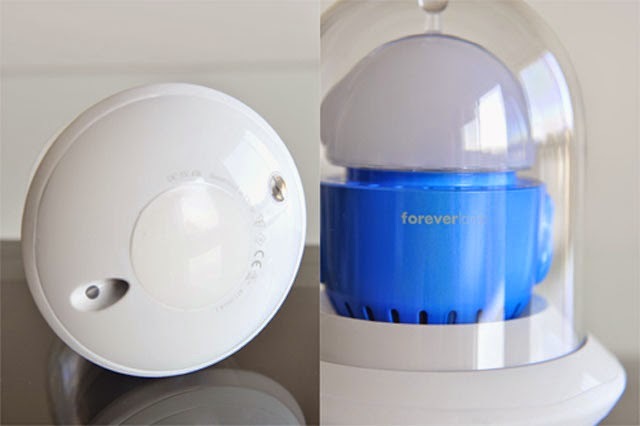 the ufo light has a built-in battery which is rechargeable, so you can carry the light anywhere you want. a touch dimmer gives you complete lighting control. 4-hour battery life at full light output; 100 hour battery life when dimmed. this perfect little lamp provides a finishing touch to any nursery decor while adding just the right amount of illumination. 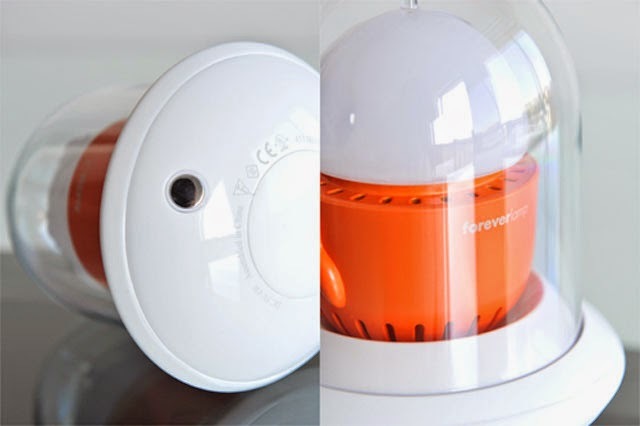 made for little ones but also for adults; this fun night light creates a magical bedtime environment for young & old. this exquisite night light has become an instant classic with its distinctive and modern features. very simple, but super stylish and genius. 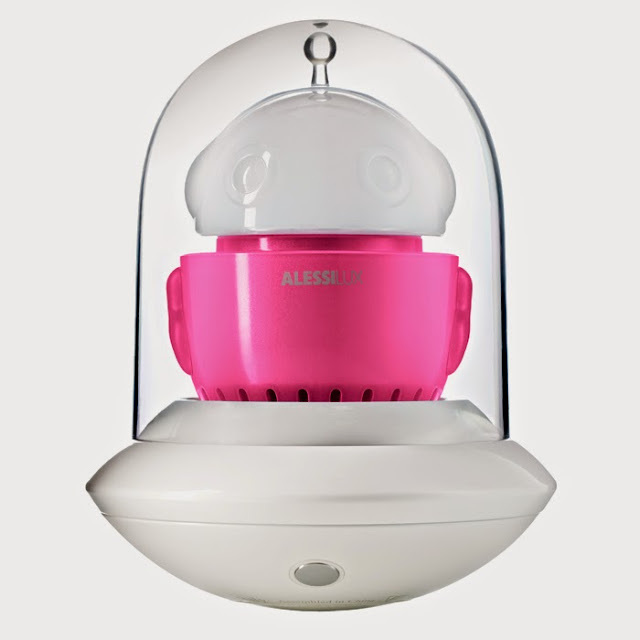 alessi's UFO is a great example of italian modern design. this beautiful bedroom light will be a perfect fit in any interior style. elegant night lighting, perfect for use as a bedside table lamp or even as a living room accent table lamp. established in 1921, alessi is famous for its high standards in design. built-in rechargeable lithium ion battery. comparable to a 30 watt incandescent bulb. from alessi's design lux lighting. includes power supply. indoor use only. led average led life of 25,000 hours. led color temperature of 2700k. light output of 250 lumens. metal and glass construction. rechargeable and portable. touch dimmer. ufo is a table lamp designed by frederic gooris for alessilux. "hold up a burning bulb and walk freely into the night, illuminating your every step... it seems impossible, and yet the idea is mesmerizing. now that the light bulb is cordless, what better way than to tell this story through the poetry of a ufo?" dimmable with touch. rechargeable battery. power supply included. battery performance 100 hours. led 4w. approximate size: h. 5.5" x d. 4.25"